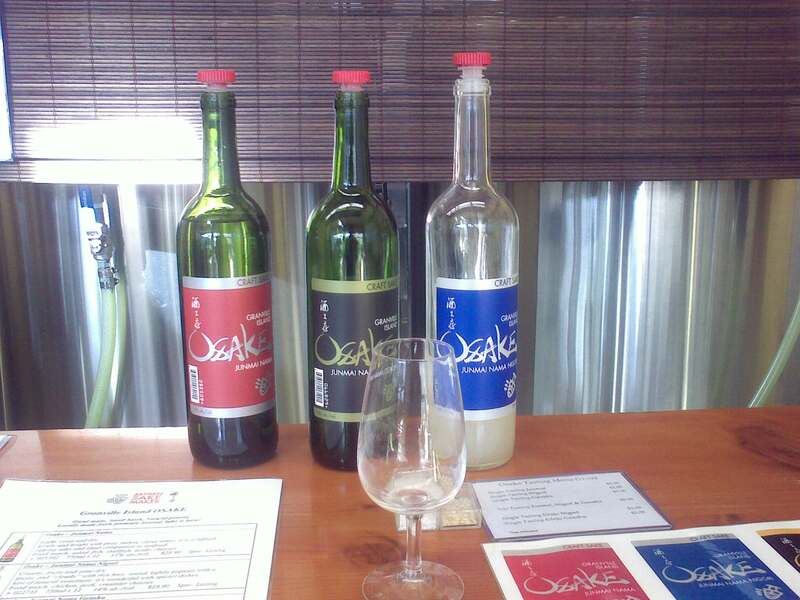 For 5 of those Canadian dollars you can try not one, not two, but three fabulous hand crafted Junmai Sakes at Masa Shiroki’s (micro) brewery, 1339 Railspur Alley on Granville Island in the heart of Vancouver. Made in a space the size of a small shop, they’re all quite lovely and surprisingly fruity. He’ll also educate you in any and all aspects of his noble art; how temperature affects the brewing process as well as the flavour come serving time, the different grades of sake, how to taste it and where the flavours come from (it’s all in the rice). Just ask! Most importantly, you can also purchase his marvelous concoctions - which is exactly what I did next. There’s nothing quite like a spot of the local plonk.